As the Industrial Revolution hit a fever pitch in Europe in the mid-nineteenth century, a young factory worker named George Williams became increasingly concerned about the lack of after-work activities that didn't involve a bar or a brothel. And in 1844, he took matters into his own hands and founded the world's first YMCA in London, England, with the purpose of "improving of the spiritual condition of young men engaged in the drapery, embroidery, and other trades." Just seven years later, chapters had popped up in nine other countries around the world — including the United States — and by 1855, over 99 chapters had formed, along with the first YWCA. Today, the organization's scope has widened to nearly all areas of promoting healthy lives, and there are few organizations worldwide with the name recognition held by the YMCA. And since 1912, the Raritan Bay Area YMCA in Perth Amboy, New Jersey, has been a place for individuals of all backgrounds to go in order to access a huge variety of resources, from athletic facilities to after-school programs to childcare to job training. The Raritan Bay Area YMCA provides a wide array of benefits to its community. For youth, it offers programs like early learning and after-school programming, swim lessons, other sports, leadership opportunities, and summer camp. For adults, it offers a range of fitness and wellness programs aimed at creating a "welcoming, safe, and supportive environment for all ages to become healthier and stay well in spirit, mind, and body." Its website continues, "Through meaningful programs in family time; health, wellness, and fitness; sports and recreation; and group interests, the Y shares resources, expertise, and support for the nation's health and well-being." The Raritan Bay Area YMCA also works closely with local community programs with the goal of promoting healthier and more successful lives in adults through state-run health initiatives and adult education. And lastly, its center for Support, Success & Prosperity directly assists individuals in their efforts to overcome homelessness in a variety of ways, including providing basic shelter, meals, clothing, and hygiene necessities. While this local chapter of the YMCA may provide an impressive array of services and be part of one of the largest charitable networks on earth, it's nonetheless a nonprofit organization, which means it faces a different set of challenges than a for-profit business of the same stature. "As a nonprofit, one challenge is that its 'customer' is not necessarily buying a product or service, and so there is less to offset IT expenditures," says David DeRitter, the principal IT support at the Raritan Bay Area YMCA. "A customer could be a homeless man getting a meal and shower, or someone unemployed getting help in filling out a job application, or a single mom getting help with after care so she can work. We have the same risks and infrastructure needs that other companies have, without the direct compensation to cover those costs." He adds that as a result of the high numbers of individuals they contact — be they employees or community members accessing services — there is a greater-than-normal demand on their Internet and Internet-related services. This means that the organization needs a sophisticated IT security solution. However, at the outset, DeRitter and his team were only utilizing traditional virus scanning software. "As our IT team became more aware of complicated attacks — not just viruses — we knew that this was a very weak solution; our concern was for hackers and social-media-type attacks that put us on a defensive, responsive posture." For this reason, four years ago he decided to adopt Symantec Endpoint Protection through TechSoup as the organization's primary defense against cyberattacks — and continues to use it to this day. 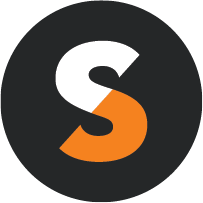 "Using TechSoup gave the Y access to software that was previously prohibitively expensive" DeRitter says. "Going through TechSoup gave the Y access to industry-standard IT solutions within a nonprofit budget. This also served to improve the Y's confidence in its own IT systems," he adds, praising the effectiveness of Symantec Endpoint Protection in its ability to thwart bad actors online from launching cyber attacks against the organization. But beyond just Symantec, DeRitter cites TechSoup as a boon for all things tech at the Raritan Bay Area YMCA. "TechSoup's program has really made a significant impact on the IT budget of the YMCA and the YMCA in general. Through the TechSoup program, we have lowered the cost of new computers, as our software costs (operating system and productivity software) are now handled by TechSoup," he says. "TechSoup has supplied all backups, all antivirus scanning, financial packages, and even server operating systems. There have been times when we have had out-of-budget hardware replacement issues, and we were only able to handle these through TechSoup." All of these lowered costs and tech-related supports ultimately translate to more resources to dedicate to direct services to kids, adults, and some of the most vulnerable populations in the area. Additionally, having access to a leading endpoint protection software enables this Y to protect its data and members. 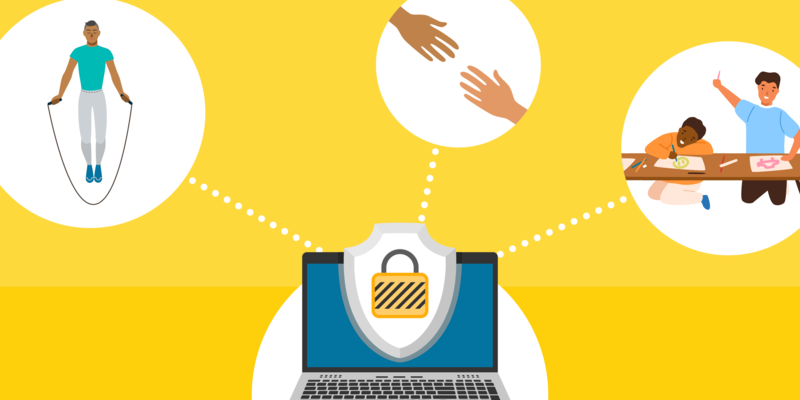 View a webinar about Getting the Most out of Symantec Endpoint Protection. Learn about Protecting Yourself from Malware with Better Password Security.